All businessmen would like to starting and running their business successfully and profitability without any effects or losses. But today business environment is becoming more complex and uncertain. So business needs to work with that uncertain about their business future. Also, anyone cannot predict about the business future. So many unexpected restrictive things can be effective to your business such as fire, natural disasters, storms, damages for business property and products, theft, terrorism, injured for someone in the business, a file suit by a client and many more ruin things. So all of the business have to do their business with that uncertain. That uncertain generate a risk about business’ future. So you have to do your business with a huge risk about your business future. Remember that, “Starting and Running a successful business always comes with inherent risk.” So you need to look at potential risks to determine if the benefits outweigh the disadvantages. Because of the above reason business need some risk covering to manage the risks and protect the business, its assets, employees and the whole society. One of the best ways to do that is to make sure business and its stakeholders are adequately insured. For that, you can get the help of insurance. Insurance is one of the best risk management tool. It transfers the business risk of loss to an insurance company. Insurance can protect both stakeholders and business properly. In some business, there are laws and regulations that require to get insurance. However, by insurance a business, it can experience the best benefit of all while minimizing its risks. In the previous article, we discuss the Benefits and 14 reasons why your business needs insurance. So I think now you have a better idea about why your business needs insurance. Also by that article, we discuss a little bit about what is insurance. But with that article, you will learn to widen idea about what is insurance? it's history? Insurance is a “Thing that help protects the business from financial loss when things go wrong”. It is a service that assumes the risks. “Insurance coverage protects of business from losses due to the event that may occur during the normal course of business”. If the business has a loss for its resources and money, if your insurance policy coves that cause of loss, then insurance will pay for businesses for its damage or loss. So you will prevent from loss. Insurance is a protection against loss for which you pay a certain sum periodically in exchange for a guarantee that you’ll compensate conditions for any specified loss by the reason that cover from the insurance policy. Insurance is a contract between the insurer company and an insured person or entity. Insured person or entity receives financial protection or reimbursement against losses from an insurer. The contract –for insurance there should be a valid contract between the insured and insurer. With that, the insurers must undertake to pay the insured upon the happening of the particular event. The insurer – Any company which is incorporated under any law and is authorized to carry on insurance business. The insured – Any person who has the capacity to contract may be insured under a contract of insurance. 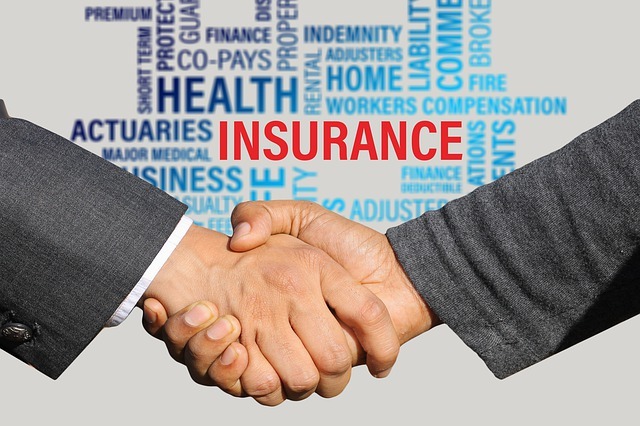 An insurance product (Policy) that an (insured) person or business buy, typically through monthly payments, that provides financial protection against risks. Those monthly payments called, premiums. Premium is the amount which you have to pay in each month or year to have the insurance. That all premiums go to the pool of funds. Insurance involves pooling funds from many insured entities to pay for the losses that some may incur. Then pooling build up with a Large number of persons and entities premiums. If someone has damage or loss because of some effect that covers from their insurance policy, the insurer will pay that loss by using the fund in that pool. So by Insurance, you can spread the risks over a number of people rather being concentrated on a single individual. So insurance is a method or process which distributes the burden of the loss on a number of persons within the group formed for this particular purpose. There are variant methods of insurance as follow. 4. Reinsurance – insurer passes some part or all risks to another insurer. Additionally, you can get coverage for Terrorism, Pollution Liability and Environment, Data breach, directors and officers, Employment practices liability and more. Before insurance first, you need to choose what you want to be protected against. Then insurer will calculate the risk that the events to be insured will happen and the insurance company will determine the premium that you will need to pay. If something happens and damage or loss for your property and the cause of damage or loss is cover by your insurance policy, you can claim your insurance. For that, you must tell your insurer what is happen? Then, they will check that if it is cover under your insurance policy and if the claim meets with what you are protected against, then your insurer will pay the loss for you as agreed before. In the early society, in 2nd & 3rd millennia BC, merchant use river and sea to transport their goods and going business across the world by boats and vessel. When they doing their transport via waterways, those boats and vessels and its carrying cargo were often lost or damaged or stolen by thieves and pirates. Because of that, those merchants have lost their money as well as their vessels. Then shippers and merchant realize that they want to reduce that risk of losses to pool the risk among all of them. As early as 3000 BC, Chinese merchants pooled their risk of loss when moving cargo down the rapid Chinese sea and waterways. In 3000 BC, merchants, shippers, and traders in Sumer and Babylonia pooled their risk to prevent major losses of cargo from loss or damaged or stolen by thieves and pirates. That cause to build up the insurance. Most business owners have a better idea of what is their business, operations, employees, materials, technology, and equipment. But they haven’t a better idea about What type of insurance coverage they need to continue and protect their business. So if you want to start a business you must probably know about what of the common perils you have to face? What can happen accidentally and other risks related to operations and in business? After that, you should choose the proper insurance coverage to cover your risks. By having the right insurance coverage, you and your business can avoid major financial loss and minimize your risks. So be carefully choice right insurance types that most suited to your business operations and its risk and put those insurance plans in place as soon as possible. It will helpful for you to cover the costs of liability claims and property damage. If you haven’t a proper insurance coverage you may have to pay those costs with your own business and personal assets. So it’s better to get suitable insurance coverage for your business. For that, I think you have a better idea about what is insurance and its history. Thank you for reading, what is the Insurance? Define and history of insurance.